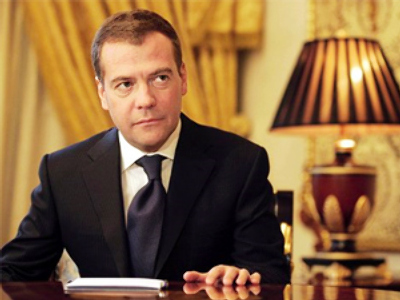 President Dmitry Medvedev has said that Moscow is opposed to suspects on Russia’s wanted list being granted citizenship and residence permits in foreign countries. When it comes to law-abiding citizens, he said, there is no problem. However, in case with people “who are wanted and pursued by the authorities, we believe such actions [as granting citizenship to those people] are unfriendly,” Medvedev said speaking at a joint media conference with his Finnish counterpart Tarja Halonen. “We are confident that people who are suspected of or charged with criminal offences of the territory of any country should not be given [citizenship or a residence permit], especially in the situation when it refers to relations between two friendly… countries,” the Russian leader stated. 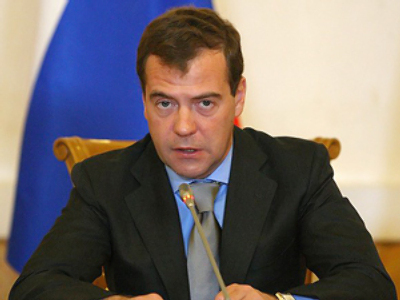 “Actually, according to general rules such persons should be extradited,” Medvedev said. These people are unlikely to beautify Finnish society, or bring peace and quiet with them, he added. Journalists asked the Russian head of state to comment on the cases when Russian citizens from the republics of Chechnya and Ingushetia – including those on the wanted list – are welcomed abroad. Halonen, for her part, said that granting asylum in Finland is a judicial rather than political procedure. She added that she personally was taking part in working out the rules. “Such decisions may cause different opinions, but in Finland they are made by court,” she said as quoted by Itar-Tass. The issue of senior people being able to join their relatives living in Finland has been especially sensitive since the story of elderly Russian woman Irina Antonova, who was not allowed to stay with her daughter, drew huge public attention in both countries. The 82-year-old lady, who was already in poor health, had to go back to Russia where she has no relatives to take care of her. Another sensitive issue – family conflicts between spouses of different citizenships – has also been raised. President Dmitry Medvedev said that even though divorces in mixed families are handled on the basis of national law, the resonance they create in other countries must be considered. 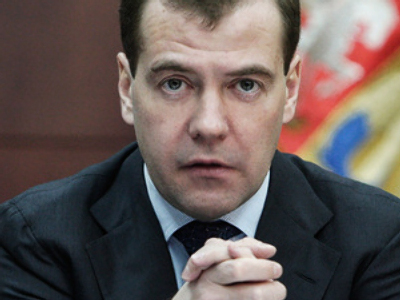 “Such conflicts must be handled with special tact, attention and scrupulousness,” Medvedev said. Tarja Halonen said that when divorces between Russians and Finns do not go smoothly, the authorities both “in Finland and Russia must treat these mixed families on an equitable footing without discriminating against anyone.” She stressed, Interfax cites, that the governments of the two states act exclusively in the interests of children and their families. “If we want to develop relations in all spheres, there are no any alternatives to visa-free travel between Russia and the EU,” President Medvedev said. If problems with introducing a visa-free regime arise, he said, they will definitely not come from the Russian side. According to the Russian leader, problems should be resolved within the European Union. “We count on the assistance from our partners and from Finland on this issue and we hope they will manage to convince the states which have not made up their minds yet on the pace of Russia's joining the visa-free space,” Medvedev said. His Finnish counterpart said she has no doubts that an agreement on the matter will be signed. “As you know, this process is not at all easy. Russia has already submitted its draft agreement. In the European Union this issue refers to the competence of the European Commission which makes decisions,” she said, writes Interfax. Dmitry Medvedev arrived in Finland on Tuesday to discuss a wide range of issues, including cooperation between Russia and the EU, and European security. On Tuesday Finnish president Tarja Halonen together with her husband gave Dmitry Medvedev a tour of her summer residence, which is located on the south-western coast of the country. Medvedev in his turn thanked his Finnish counterpart for the warm welcome. Tarja Halonen stressed that she is attaching great importance to this meeting. “Whenever I am asked why we develop relations with Russia, I always say that we are good neighbors, and good neighbors should meet regularly to exchange information and to carry on their good relationship,” Halonen said. This is the fifth meeting between Medvedev and Halonen and the second time Medvedev has been on a state visit to Finland. 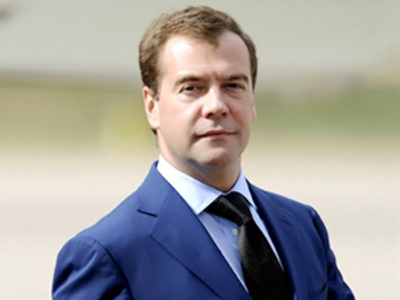 “I used to like coming [to Finland] in summer; however, I had a different status then,” confessed Dmitry Medvedev. “The weather is nice here, which is in contrast with what we have in Moscow,” said Medvedev, referring to the unusually high summer temperatures in Central Russia currently. The official program of the visit has started on Wednesday.